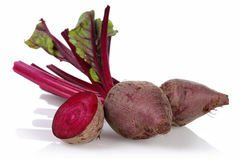 Description: Beets come in a wide array of colors but the most common is the vibrant red colored beets. The typically eaten portion of the beet is in fact the taproot, while the leaves of the beet are also edible and are used as flavoring in some dishes. Beets are known for their very sweet taste and they are prepared grilled, boiled, roasted or sometimes even raw. Beetroot can be used to make wine as well as the popular beet juice. While the exterior of a beet looks hard, it is actually fairly soft and will become much softer as it is cooked. The betanin that is obtained from the roots is used in many instances as red food coloring.. 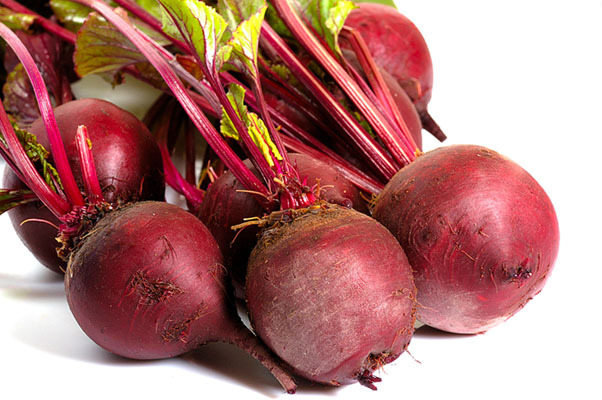 Kitchen Pharmacy: Beets are believed to have both antioxidant and anti-inflammatory properties. In addition they have also been linked to helping prevent many types of cancer such as colon, stomach, lung, prostate, breast and testicular cancer. Beetroot juice is believed to help reduce high-blood pressure and support good heart health.